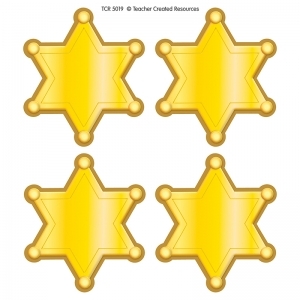 Kindergarteners will feel extra special with their very own star badge! These are perfect for getting to know names and for children to practice spelling their own names - and the names of their friends! Also great for grade promotion events. Badges measure 3.25" x 3.25". Each pack includes 36 badges. 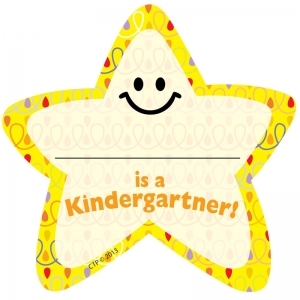 The classic chalk design makes this Super Student badge a must-have for any classroom. 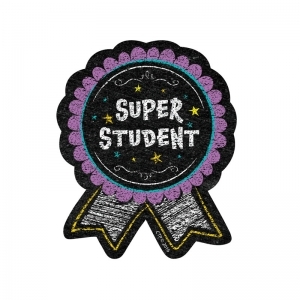 This badge is a super way to recognize student accomplishments, achievements, graduations, and more! 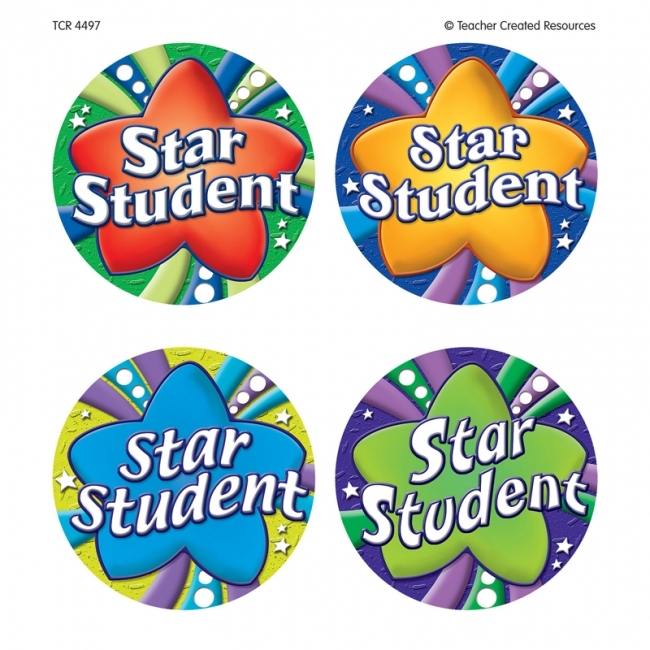 Students will proudly wear these color badges all day long to celebrate their special accomplishment. 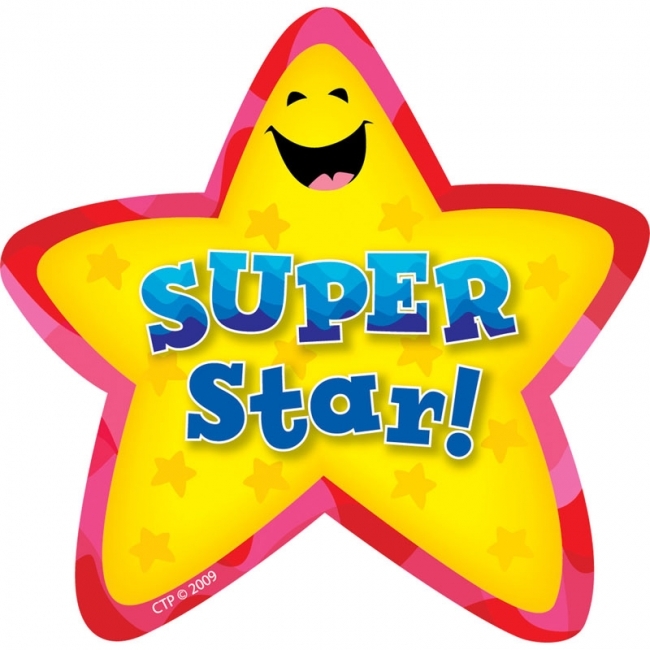 Parents will enjoy seeing students come home with their badge and be excited to hear about their "Super Student." Badges measures approximately 3" x 3.5". Each pack includes 36 acid-free, adhesive badges. 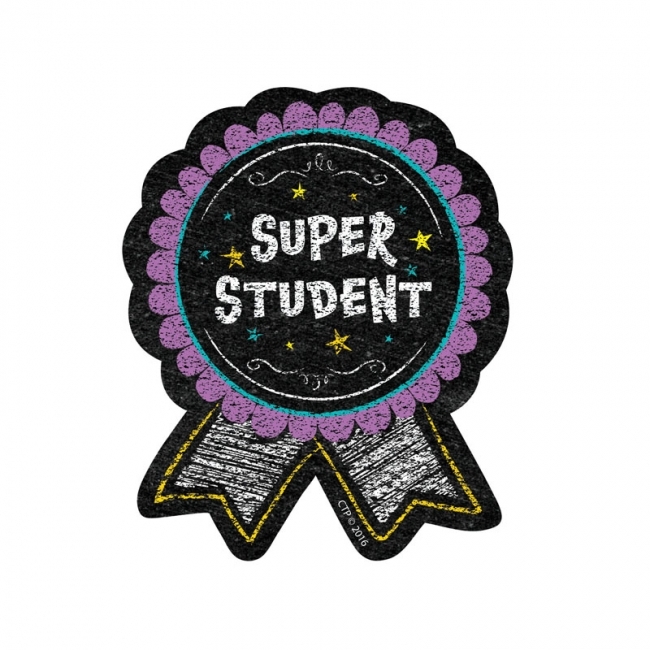 This badge is a super way to recognize student accomplishments, achievements, graduations, and more! 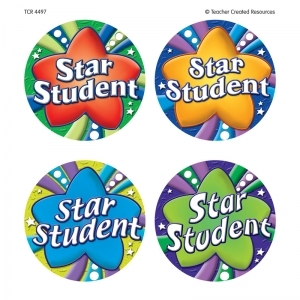 Students will proudly wear these color badges all day long to celebrate their special accomplishment. Parents will enjoy seeing students come home with their badge and be excited to hear about their "Super Star!" 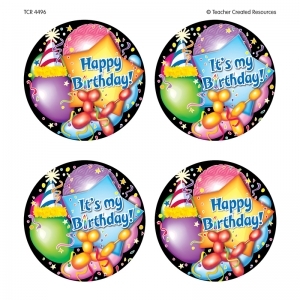 Badges measures approximately 3.25" x 3.25". Each pack includes 36 acid-free, adhesive badges. 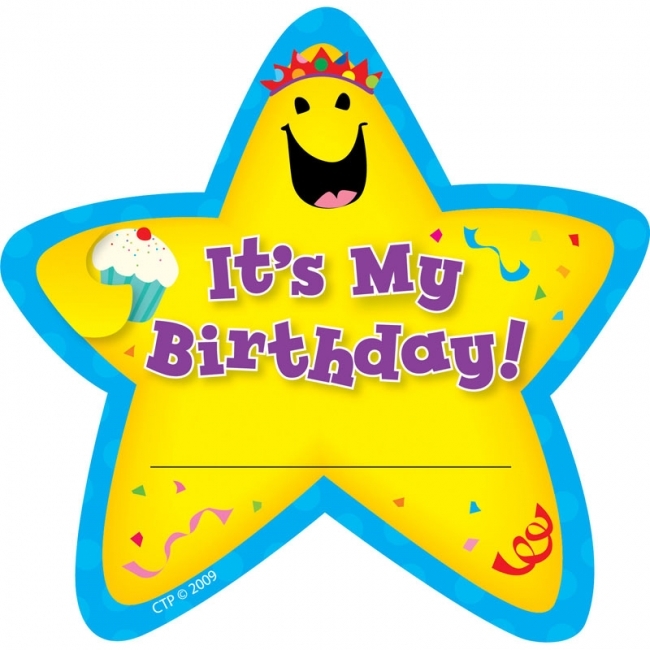 This badge is a super way to recognize student birthdays! 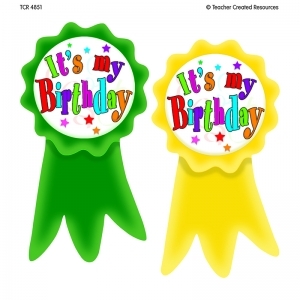 Students will proudly wear these color badges all day long to celebrate their special day. Parents will enjoy seeing students come home with their badge and be excited to hear about their day. 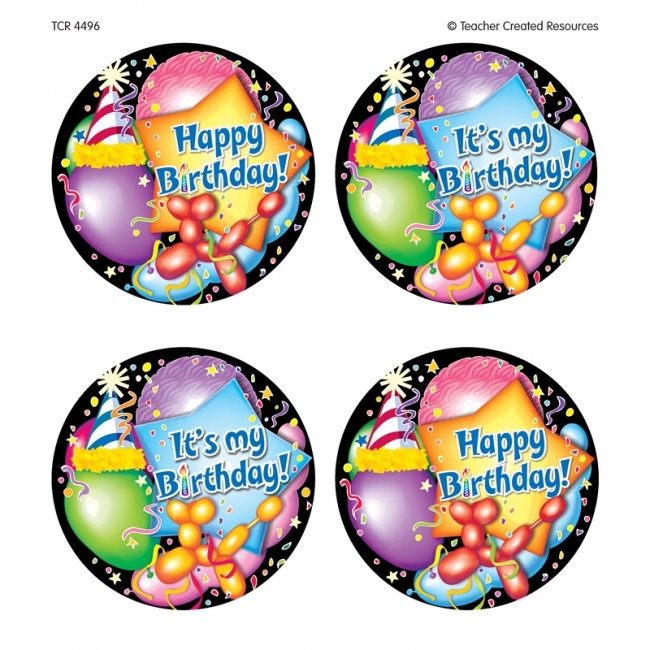 Badges measures approximately 3.25" x 3.25". Each pack includes 36 acid-free, adhesive badges. 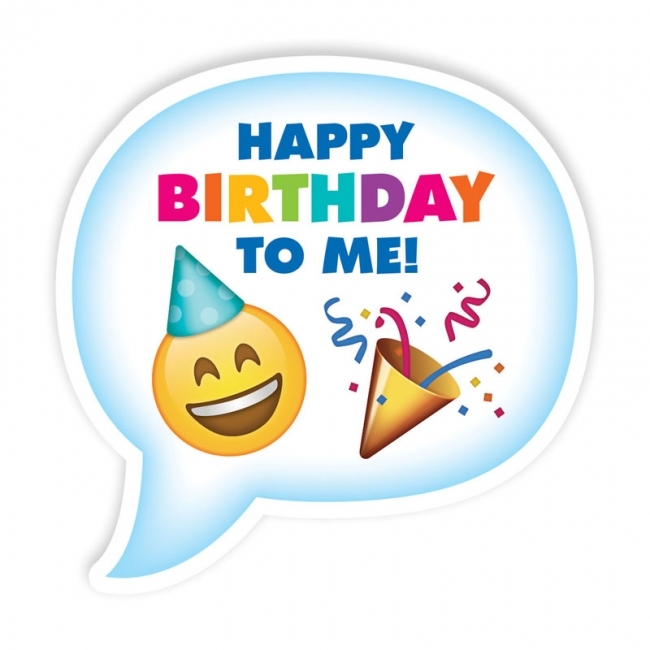 This festive Emoji Birthday design features a sweet smiley face emoji and confetti in a cute speech bubble. 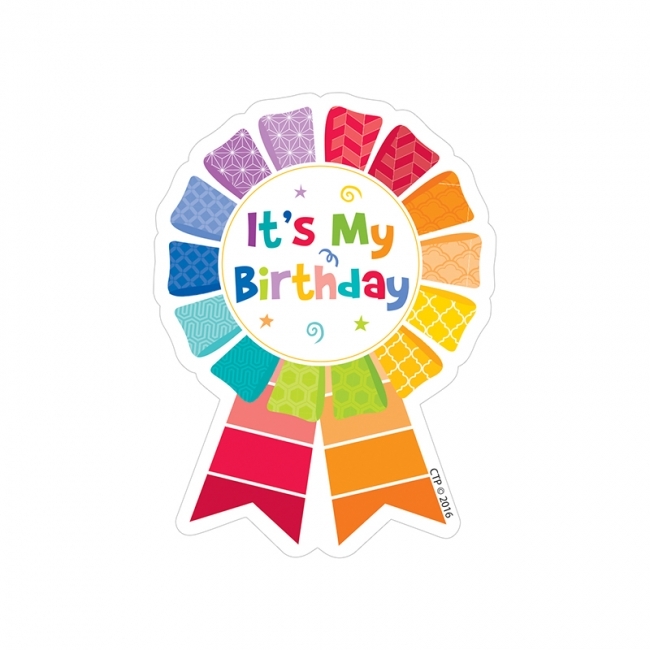 Students will proudly wear this colorful Emoji Fun Birthday badge sticker all day long to celebrate this milestone. 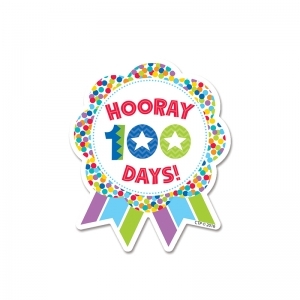 Parents will enjoy seeing their child come home with the badge and be excited to hear about their child's special day at school. Each pack includes 36 acid-free, adhesive stickers. Approximately 3" x 3.5". Perfect for identifying the birthday child! Each badge measures 2-3/8" in diameter. 32 badges per pack. Perfect for rewarding good work, identifying the birthday child, or other special occasions! Each self-adhesive badge is 2-3/8". 32 badges per package. Perfect for rewarding good work, identifying the birthday child, or other special occasions! 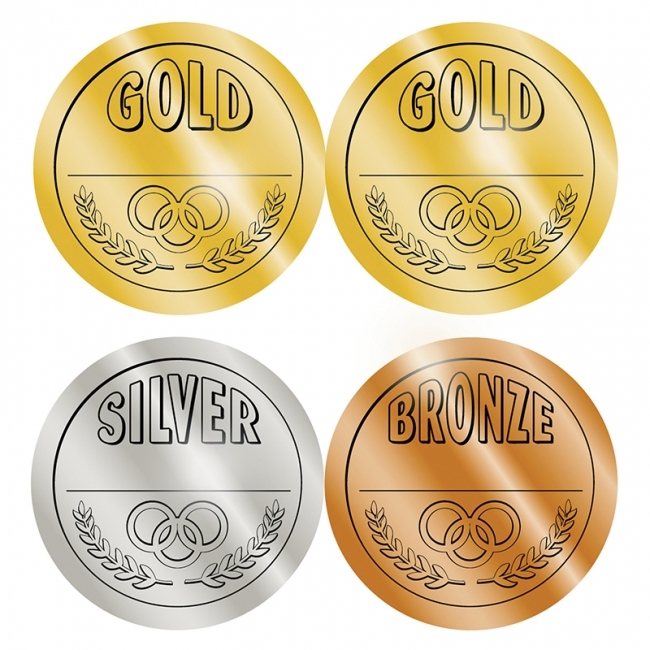 Badges measure 2.5" W x 5" H. Badges are acid-free and lignin-free. 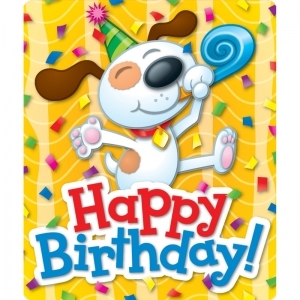 Each pack includes 16, 8 each of 2 colors. 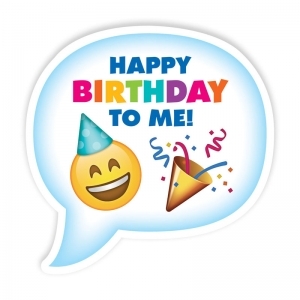 birthday child, or other special occasions! 2-3/8" each. 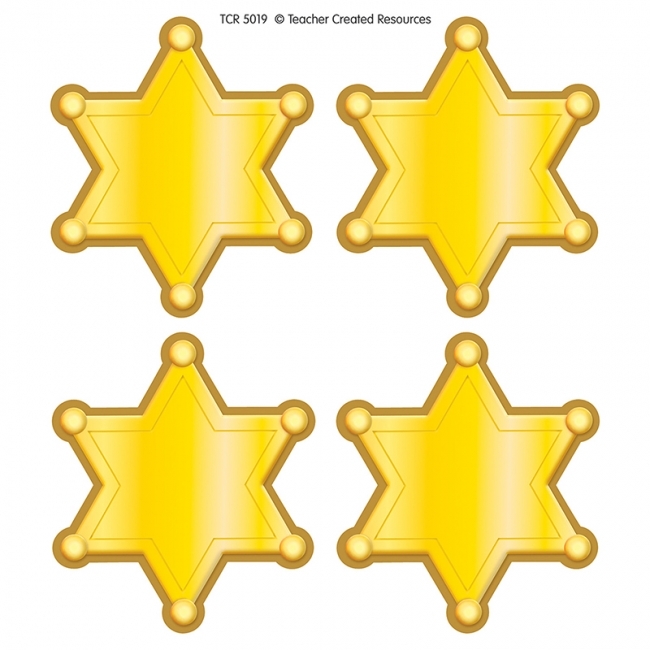 32 self-adhesive badges per pack; 16 Gold, 8 Silver, 8 Bronze. Perfect for the rewarding good work! 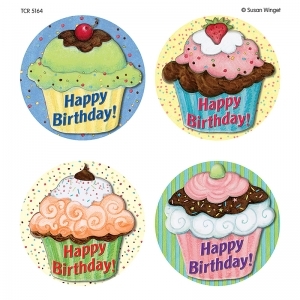 Self-adhesive, each badge measures approximately 2 3/8" x 2 5/8". Each pack includes 32 badges. Acid-free and lignin-free. 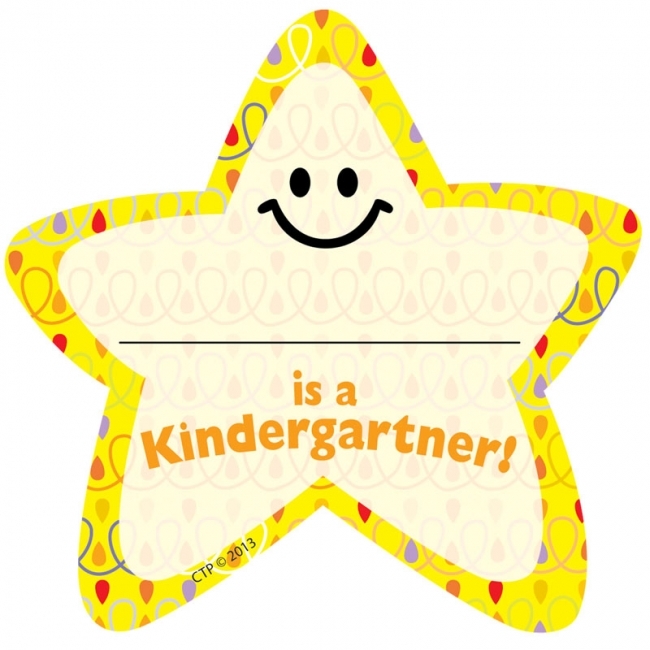 Stickers are great for rewards, encouragement, prizes, arts and crafts, incentive charts and more. 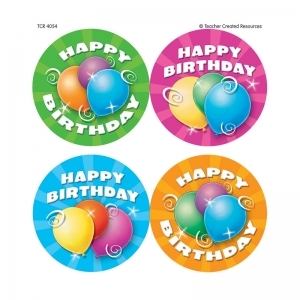 Stickers are acid-free and lignin-free. 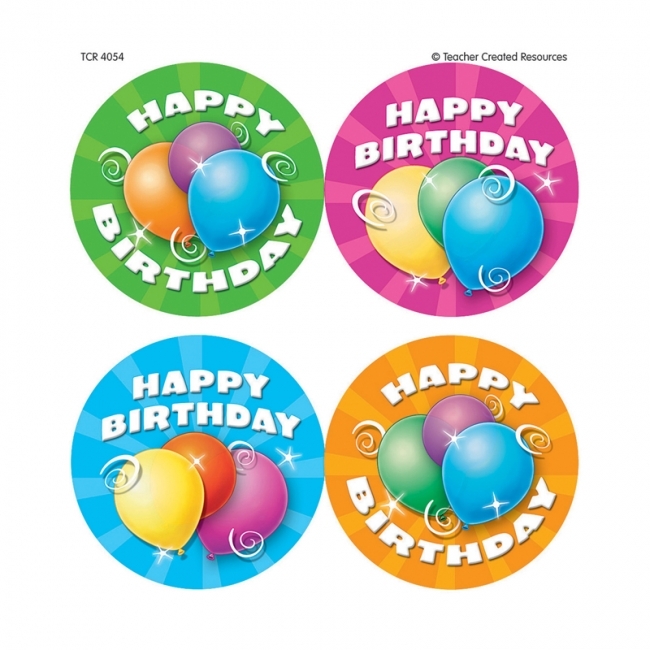 Stickers measure approximately 1". 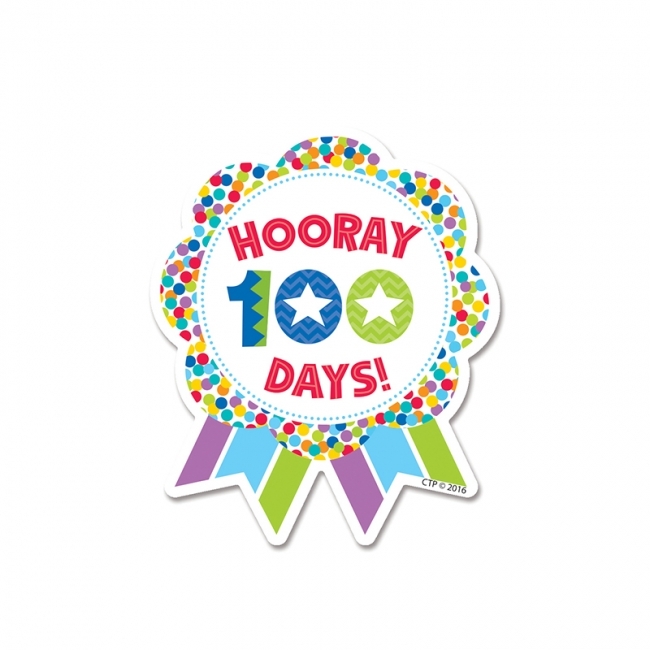 Each pack includes 120 stickers.